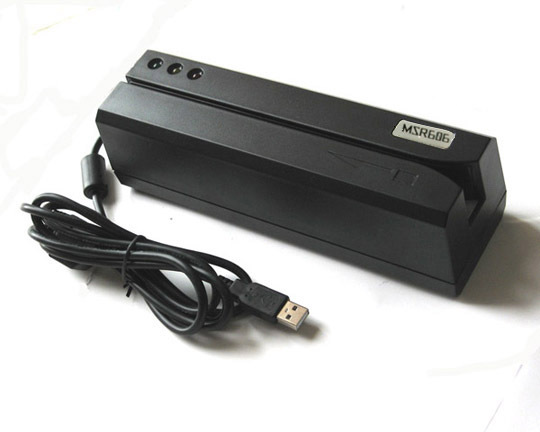 Many of our customers have decided to take advantage of the features in AuctionRPM that make use of a Magnetic Strip Reader (MSR) or 2D Barcode Reader. This would either be using the MSR or Barcode Reader in the bidder registration screen to read drivers licenses (thus speeding up the registration process), or using the MSR to read credit cards during invoicing and checkout, thus facilitating the credit card processing built right into AuctionRPM! If you desire to use these features in the bidder registration screen, take a look at the back of a typical driver’s license that would be scanned. Check to see which of the following pictures the back of your license looks like. If you see a mag strip there, then the magnetic strip reader (cost is around 60 dollars) is all you will need. That same magnetic strip reader can also be used in the invoicing screen to read credit cards. Your magnetic reader needs to be set to HID mode. 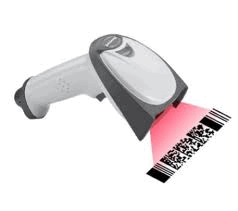 If you see a 2D barcode there as shown above, then you will need a 2D barcode reader (cost is around 400 dollars) to read driver’s licenses in the bidder registration screen. If you wish to clear credit cards in the checkout screens, then you will need to purchase a separate MSR.